The three orchids we are using are Vandas which are great for this because they are pretty flat and easy to attach to this type of display. Hardware cloth will be used with the frame to provide a solid structure for attaching the coconut fiber and orchids. Starting with our frame dimensions (48 x 13 inches) we measured out a piece of hardware cloth that is about one inch smaller than the frame (47 x 12 inches). 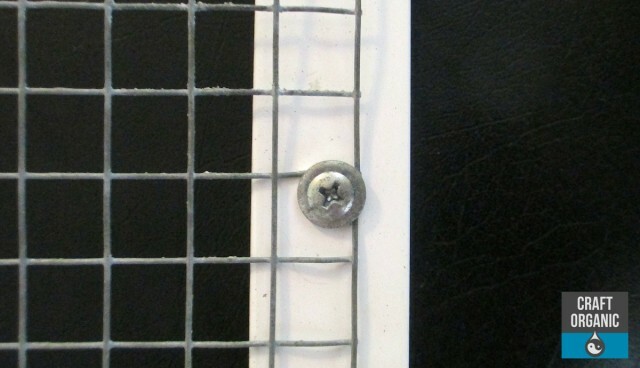 The hardware cloth is screwed to the back of the frame on each corner and every 12 inches or so… you may use more or less depending on the size of your frame. If it’s a wood frame a staple gun would probably work pretty well at holding down the hardware cloth. Coconut fiber can be purchased in a big roll so you can cut out custom sizes. Measure the inside, or opening, of the frame and make sure the measurements are accurate because you want the coconut fiber to fit inside the frame just right. 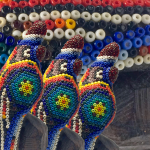 Once you have that done, place the coconut fiber on top of the front side of the hardware cloth. 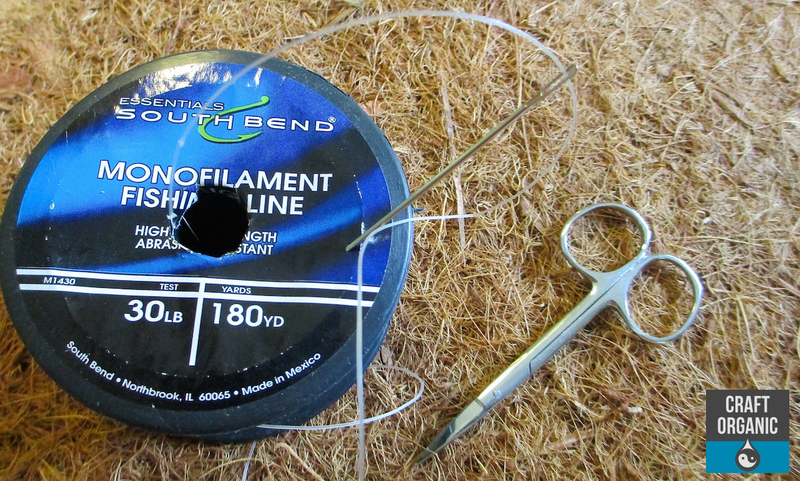 We used some monofilament (fish line) and a needle to “sew” the coconut fiber to the hardware cloth. You can do it all the way around the edge of the fiber or attach it every few inches or so… Wire could also be used to support the fiber to the hardware cloth. Time-lapse video of The Plant Man “sewing” the fiber to hardware cloth with a needle and fish line. Once that is finished you can place the orchids in the frame to figure out the arrangement that you like best. After you’ve decided on that you can anchor the orchids to the fiber with some floral wire. You can use a little knife to make a little hole in the fiber to run the floral wire through. Make sure the floral wire is around both the fiber and hardware cloth then twist it until it’s snug. Don’t twist too tight or you may break your orchid. The finished project below! We wish they were in bloom right now but we can add a photo later whenever the orchid decides it’s ready. 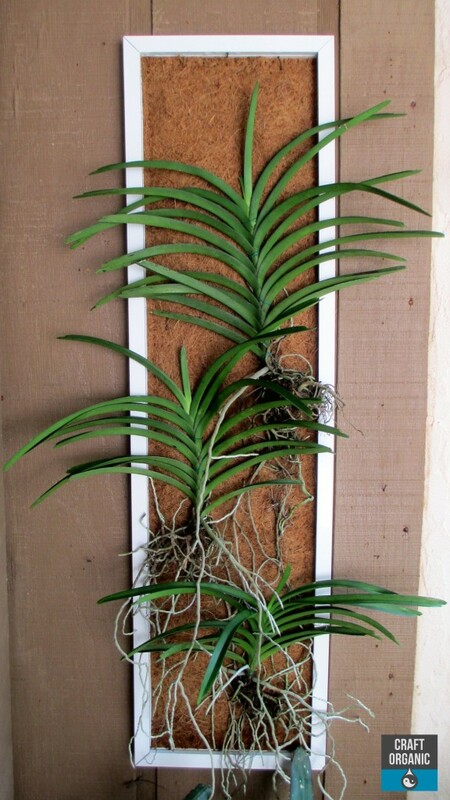 How do you water the vanda when they are mounted this way? We watered either by taking it into the shower or using the garden hose. 1. you may put it the shower or hose it down, if growing it in an exposed area water it every other day during the growing season and during dry hot days, our vandas do well mounted like this and in orchid baskets. 1. when you water your Vandas – does the coconut get wet? How it behaves later? Does it decompose or rot? Do fungi not get into it? Did you wash the coconut fiber to get rid of taurine (I’ve read coconut fiber contains it and its not orchid friendly)? 2. How does your Vanda like the mounting? Is it growing well? Is it getting enough moisture? 3. 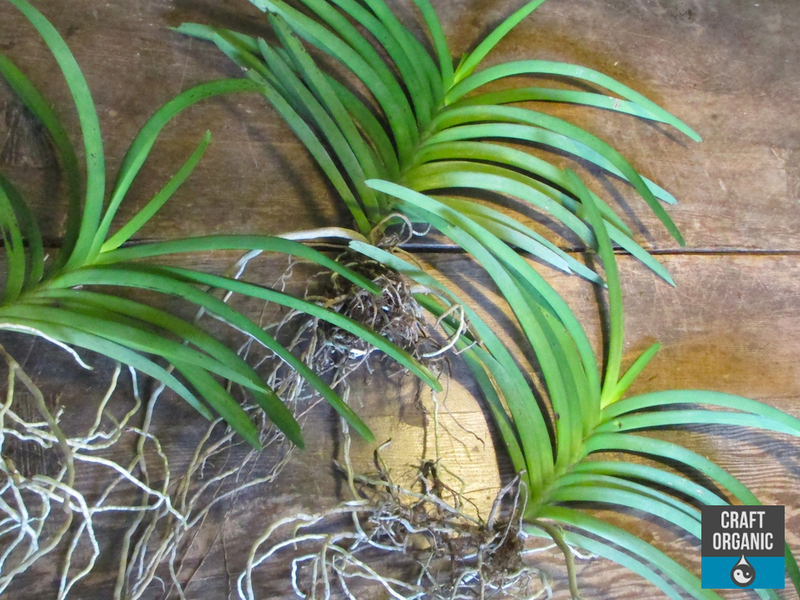 Do you think that spraying water onto Vanda’s roots and coconut fiber creates enough moisture for the orchid? 4. 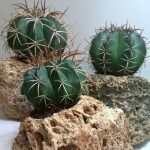 In what conditions do you keep tour plants? 2.yes coconut fiber will eventually break down , and i have had no problem with fungi we only put a thin layer of cocnut fiber. 3.yes it does and it also depends where you are growing your vanda. some under our eves and others hanging under our trees , we only water our orchids and tillandsias every other day heavely on dry days , uually around this time of year we have no problem it becomes more of a routine when enter summer.